In the 1950s and '60s, the media studied opera singer Maria Callas' personal life as closely as her talent. Anyone going into Tom Volf's documentary Maria by Callas without a strong working knowledge of renowned opera singer Maria Callas may find themselves a bit lost. Volf, a Callas expert who's compiled three books on the Greek-American singer, constructs his film almost entirely from primary sources, meaning that if there's no direct footage or text pertaining to a certain aspect of Callas' life, then it doesn't make it into the movie. And even when Volf has an interview or a journal excerpt of Callas describing her own first-hand experiences, it's often incomplete or elliptical. It's only when Callas starts talking about her separation from her husband Giovanni Battista Meneghini, for example, that the movie provides any real detail about him. For dedicated Callas fans, the movie's rigorous adherence to the singer's own words and performances may hold more appeal, though, even if it by necessity has to leave a lot out. Volf has opera singer Joyce DiDonato read portions of Callas' personal journals and letters in voiceover to give the movie a bit of structure, augmenting that with rare interviews, including a recently uncovered 1970 Callas interview with David Frost. Much of the rest of the movie features paparazzi and news footage, which is full of repetitive images of Callas in various forms of transportation — getting on and off airplanes, pulling up to events in chauffeured cars, lounging around on boats. In a few cases, Volf shows what looks like unedited clips of Callas just standing around, as if he was determined to use every available piece of film, no matter how uninteresting. Plenty of what he shows is quite interesting, though, especially for anyone curious about the history of opera and, to a lesser extent, the history of popular music. If nothing else, Volf demonstrates just how massively famous Callas was in the 1950s and '60s, in the era when rock 'n' roll was still a niche genre, and an opera diva could inspire the kind of press throngs, ticket sales and fan adulation that would later be reserved almost exclusively for pop stars. 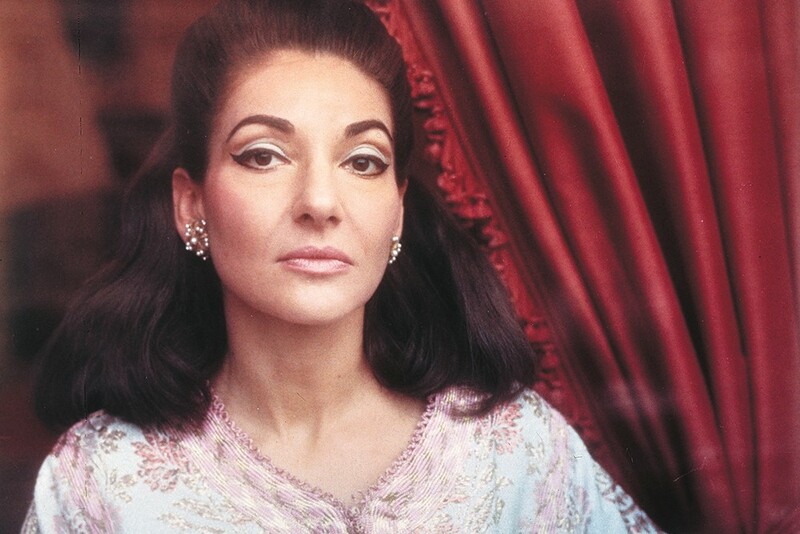 Although her musical style is very different, Callas clearly had a lot in common with later musical superstars, and it's not hard to connect Maria by Callas with recent music documentaries like Amy and Whitney, although Callas' story is less tragic. Volf also devotes significant amounts of time to Callas' performances, often showing entire songs, and even though the context is not always clear, the power of Callas' voice comes through strongly, effectively showing why she amassed such a fervent fan base. The credits for "sound restoration" and "sound effects actors" call into question whether the visuals and the music were actually captured at the same time, but even if the pieces are put together from different elements, all of those elements are impressive, making the case for Callas as an expressive, captivating performer in addition to a singer of unparalleled talent. It's a talent that Callas often disavows in the movie, lamenting how both her mother and, later, her husband pressured her into a music career when she really longed for a quiet home life. "I just live a human life," she tells an interviewer at one point, even though everything about the way she lives seems to contradict that assertion. The original print version of this article was headlined "Portrait of a Diva"
Maria by Callas: In Her Own Words is not showing in any theaters in the area.